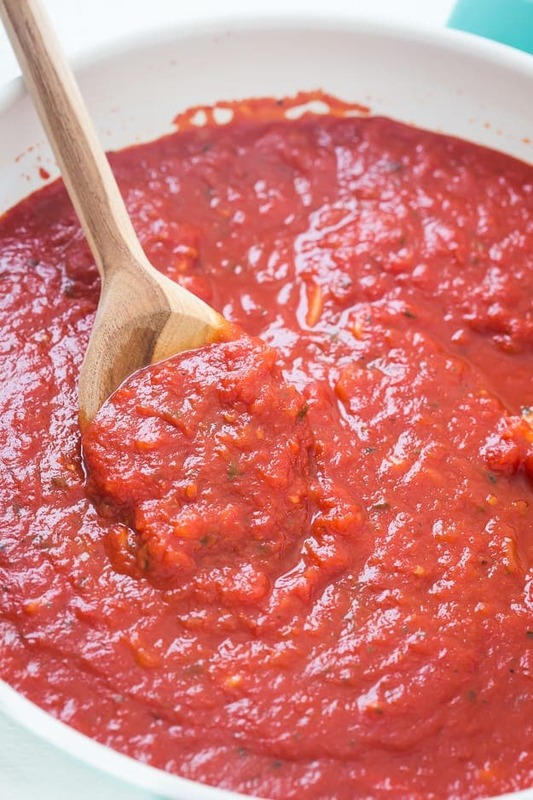 Quick & Easy Marinara Sauce – Skip the store-bought marinara sauce and make it homemade! This marinara sauce is the BEST and made with real and fresh ingredients! A simple recipe you need! I thought today I would share with you one of my go-to recipes when I need a quick and easy marinara sauce. Just as the title says, it truly is quick and easy! 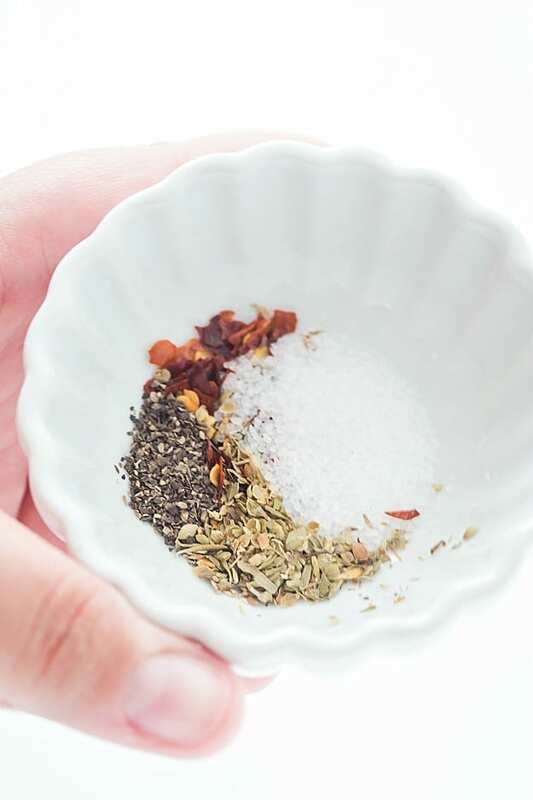 Don’t let the title scare you away because you wouldn’t think the flavors would be bold and big in a quick and easy recipe, but trust me – they are! There’re a few simple tricks I will share with so you can make your homemade marinara sauce from scratch. I love shortcuts whenever I can find them, usually in store-bought sauces, but this is one I highly recommend making at home because of how easy it is. Where I live it can take up to 20-25 minutes to get to the store (traffic!) and the quality will not be as high as this one. If you have everything already prepped and ready to go, you can make this marinara sauce in 30 minutes or less! Seriously, you guys, it’s the best thing ever! I recommend having your onions, garlic, and crushed tomatoes opened because it helps with the hands-0n-time. If you have ever made the homemade marinara sauce before, you will find a lot of recipes do not include any onions or even onion powder. Onions or Onion powder is a staple in my cooking along with salt and pepper. If you aren’t a fan of onions in your sauce, then finely dice them or substitute with onion powder to taste. Just don’t skip that part because it adds a lot of flavors, in my opinion. Another very crucial part in adding bold and big flavors in a short amount of time is by using high-quality crushed tomatoes. I suggest San Marzano and Tuttorosso, but Hunt’s works well, too. I think it’s all about finding the right balance of high-quality and budget-friendly products. If you are looking for recipes to use the marinara sauce in or with I recommend dipping this Pepperoni Pizza Quick Bread, Garlic Parmesan Knots, or Pizza Muffins into the sauce! The possibilities are endless. 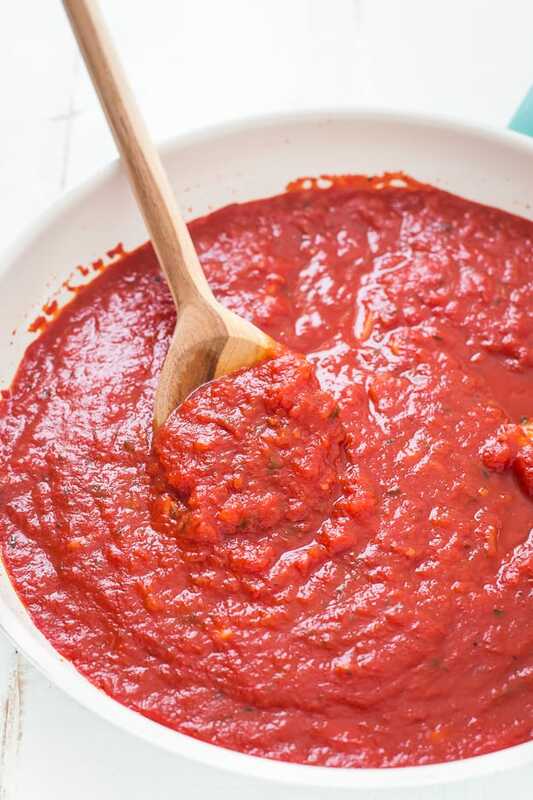 Quick & Easy Marinara Sauce - Skip the store-bought marinara sauce and make it homemade! 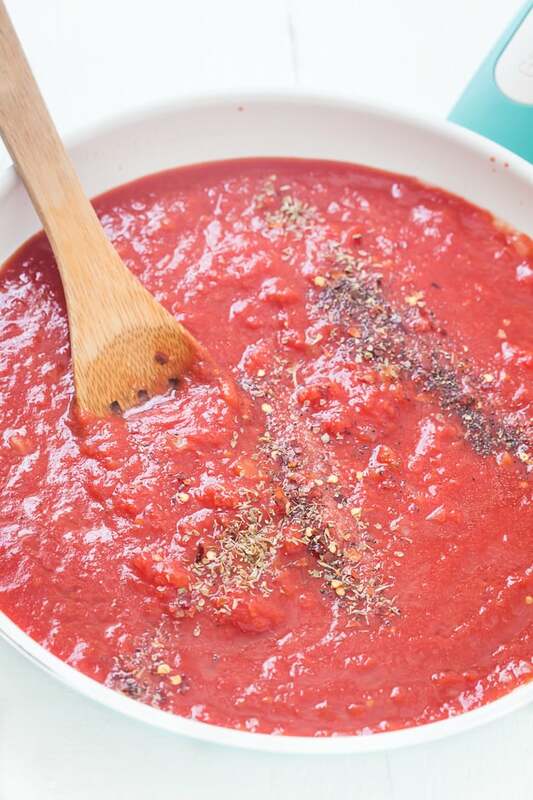 This marinara sauce is the BEST and made with real and fresh ingredients! A simple recipe you need! Place the oil and garlic in a warm pan and cook for 1 minute on medium heat stirring a lot to keep the garlic from burning. Place the crushed tomatoes, basil, pepper, crushed red pepper flake, and salt and stir until combined. Simmer over medium heat for 20-25 minutes.